Welcome to the highly sought-after Summit Ridge Community! We are offering this tri-level town home, END unit in a court location with approximately 1900 feet of living space, SOARING ceilings, skylights large windows lending plenty of NATURAL LIGHT and VIEWS of hills and trees. OPEN floor plan on the main living area is perfect for entertaining with UPDATED kitchen and combo dining/living area with fireplace and access to decks. On the third level, you'll enjoy a large loft with half bath and wet bar. Downstairs a master suite with deck, second bedroom, and bathroom. Other features include WOOD floors, NEWLY BUILT decks (with permits) attached 2 car garage. 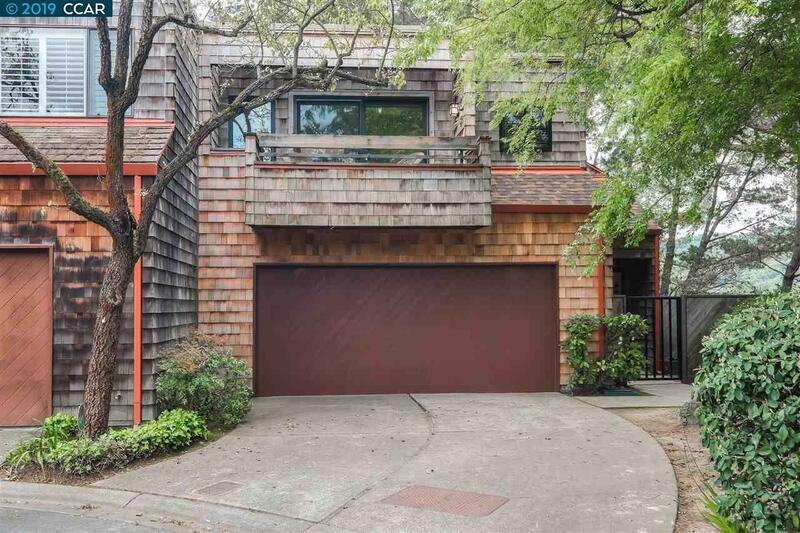 All of this in Acalanes School District, close to freeways, BART and hiking trails. Just minutes to downtown Walnut Creek and Lafayette, and conveniently located near Palos Verdes Center for shopping and restaurants.